The fight to get the classic soap opera, All My Children, back into production and then on our TV screens is still going on. We are doing our part here, at Celeb Dirty Laundry, in conjunction with GLOBE to assist with the war effort. GLOBE reports in this week’s (September 24th) print edition that a year after the great show was axed, All My Children’s determined and loyal fans remain committed to doing whatever it takes to get it back on the air. Social media is the weapon of choice for the show’s staunch supporters so Internet sites such as Facebook and Twitter have become the ideal venue for the leaders of Save Our Soaps to promote their cause. 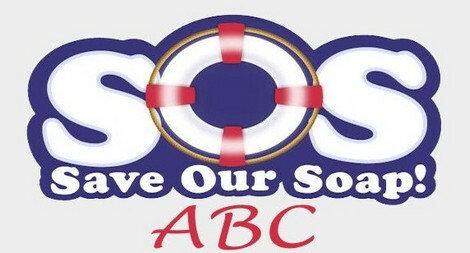 GLOBE reports: The Save Our Soaps campaign continues to put pressure on ABC, which cancelled AMC last September 23 and axed another popular afternoon drama, One Life to Live, in January. There’s reason for the crusaders to have renewed hopes! The rights to AMC, given to a company planning to produce original episodes for the Internet, revert back to ABC on Sept. 23 because the Web-based project never got off the ground. Seems like the rating of replacement shows has been disappointing and so hope burns brightly that ABC will see the light and makes AMC fans happy. January is slated to be OLTL Month since that is when the unused rights to that show revert back to ABC. Marji Meisner of, told GLOBE that there are thousands of people working to get their favorite shows back on the air. GLOBE previously reported that General Hospital was saved largely due to activism on the part of Katie Couric – so be assured that the cause can be won. It is the American way to stand up for you beliefs and these soap fans are doing exactly that. Activism is not reserved for political causes and remains a fine democratic tradition. So get with GLOBE and get involved!